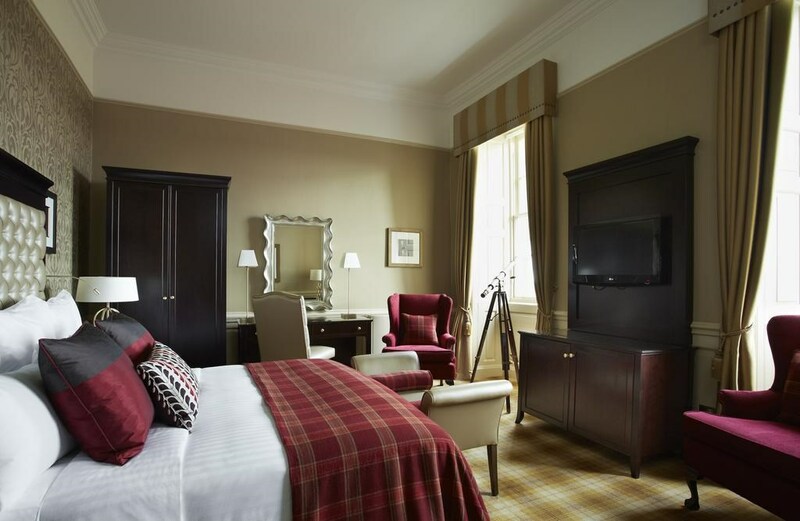 Dalmahoy Hotel & Country Club with 300 years of history and just 7 miles from Edinburgh’s city centre. 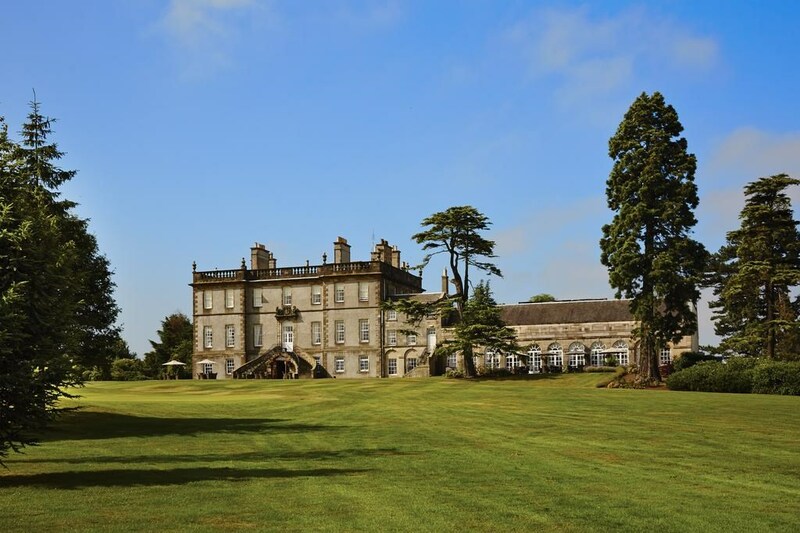 Impressively situated in 1,000 acres of parkland lies the four-star Dalmahoy Hotel & Country Club. 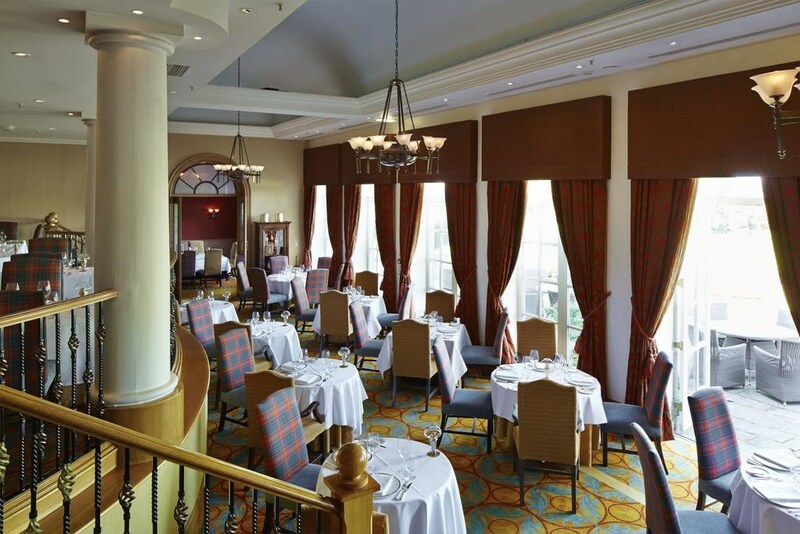 With spectacular views to Edinburgh Castle and the Forth Bridges, it’s a celebration of Scottish heritage. With 215 rooms and suites, contemporary meeting and events spaces and a range of restaurants and bars, their historic resort also features two 18-hole golf courses, luxurious leisure facilities and a state-of-the-art fitness centre. 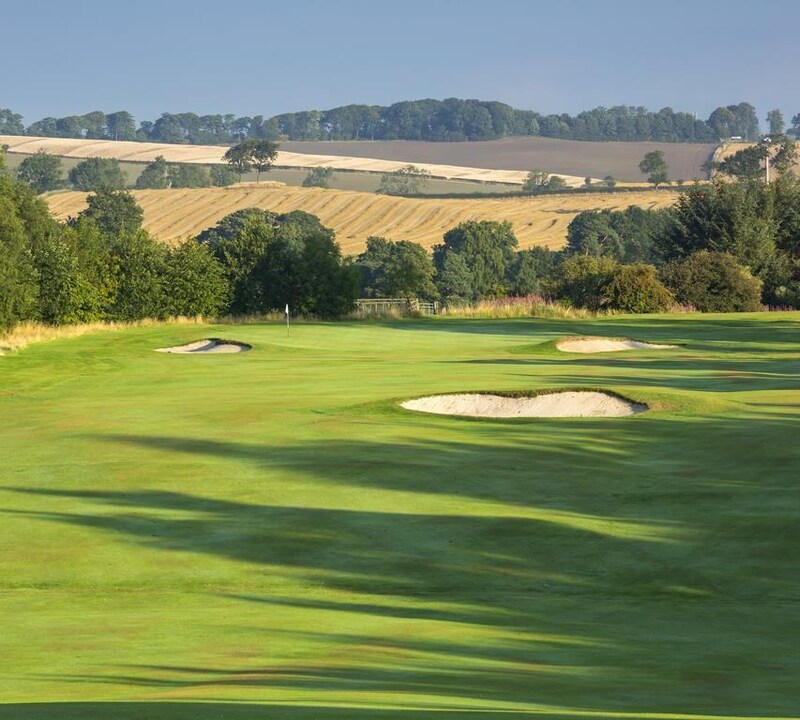 It’s hard to believe Dalmahoy lies just 20 minutes from Edinburgh and 10 minutes from Edinburgh Airport. It enjoys excellent transport links by air, road and rail, while offering a luxury retreat at a Scottish resort. 1 in 12 golfers go free ! This historic country hotel, built in 1725, offers luxurious spa and leisure facilities, and informal and fine dining restaurant options. 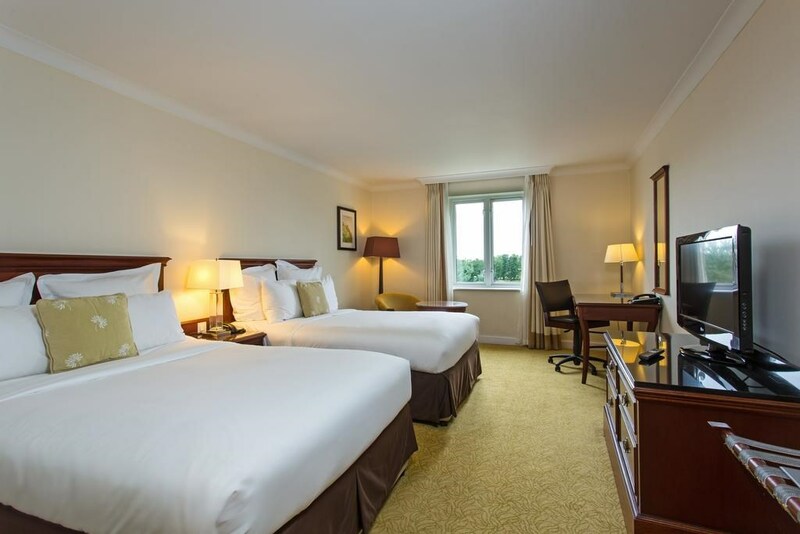 All of the spacious rooms at the Dalmahoy Hotel & Country Club offer 32-inch flat-screen TVs and en-suite bathrooms. Rooms also include tea/coffee making facilities and a mini-fridge. Dalmahoy Hotel & Country Club also boasts a leisure club, featuring modern gym equipment and complimentary fitness classes. Guests can make use of the indoor swimming pool, sauna, steam room and tennis facilities. 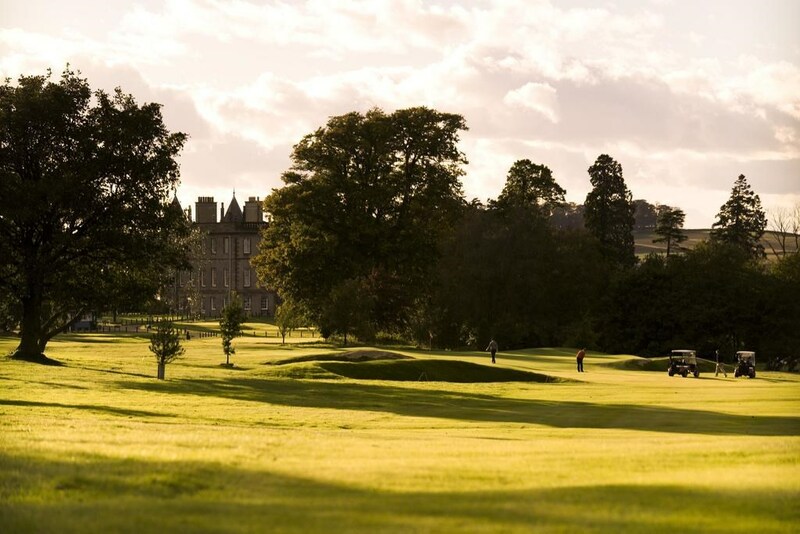 Dalmahoy’s golfing heritage attracts golfers of all levels, looking to test their skills at the famous venue where the European Ladies won their first Solheim Cup, and where famous names such as Seve Ballesteros, Sam Torrance and Nick Faldo have competed in the Scottish Seniors Open. The East Course was designed by James Braid to Championship standards, and is a monster from the Championship tees at over 7,400 yards. 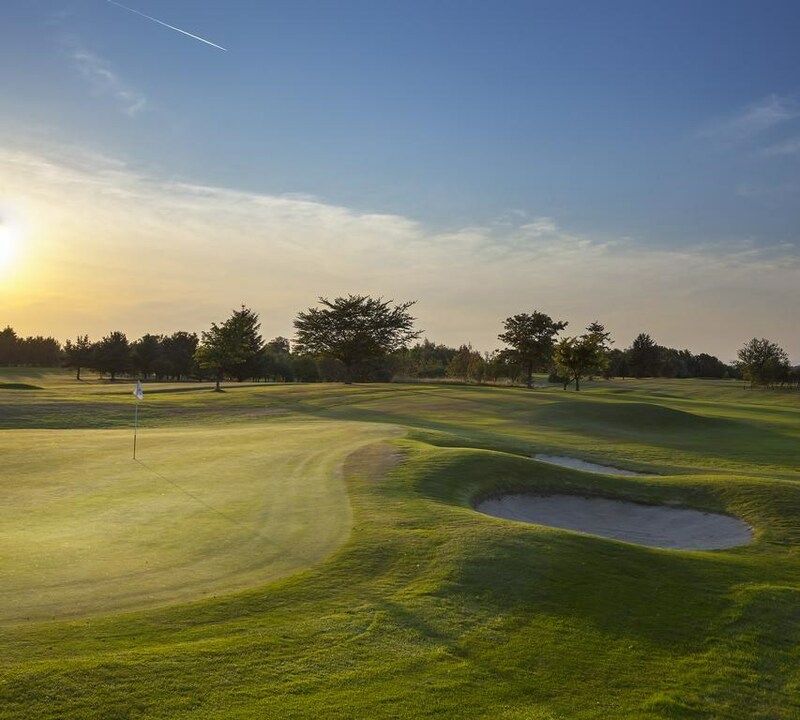 For members’ competitions and corporate events, it’s a more manageable 6,684 yards, but is still a formidable challenge. The West Course is the shorter of the two but is still a good test of golf. There is a good mix of shorter par 4’s and par 3’s, alongside some very tough par 4’s and a par 5 which is the longest on either course.